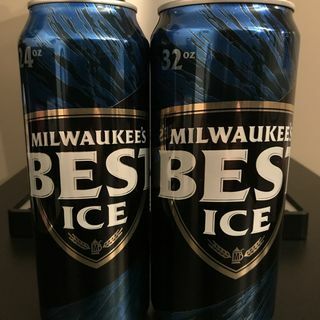 Crack open a can of Milwaukee's Best Ice and enjoy the annual Bumming with Bobcat Super Bowl preview show! It's the Rams and the Patriots in this years big game, but does anyone really care? Maybe it's just me, but I seem to be less enthusiastic about this years Super Bowl match up than I have been in recent years. Is it because it's the Patriots again? Being a Jets fan, I always like to see the Patriots lose, but this year just seems underwhelming. Let's just hope ... See More for an exciting game while drinking beer and eating junk food. The official end of the 2018 NFL season also means the end of the Tall Boy Thursday features until September. We couldn't just end with a simple 24oz can this week, so we had to go all out with a double dose of BEAST ICE! What was your favorite BumWineBob.com Tall Boy Thursday feature this season? What would you like to see featured next year? It's February, so that means it's a bumwinebob.com birthday celebration month as we enter year 5! Updates features, new contributors, and much MORE! Stay tuned! Don't forget to check out my appearance with Dennis and Molly on the American Dirtbags Podcast this past week. Give it a listen and hear about the time I told Shawn Michaels to stop doing cocaine as a five year old WWE road agent.